Workers at the Arkema chemical plant outside Houston "appeared to be unaware" that the site was at risk of flooding. Both the company and the industry's regulators need to do more to plan for flooding, federal investigators said in a new report. Arkema — whose Houston-area plant spewed hundreds of feet of black smoke last summer after floodwaters from Hurricane Harvey caused toxic chemicals to degrade — had not planned for such catastrophic flooding, according to a new report from federal investigators. The Chemical Safety Board, which investigates chemical accidents but has no power to enforce its recommendations, faulted both the plant itself and lax industry standards for the incident that released chemicals into the air and water of Crosby, a small town 30 miles northeast of Houston, in late August and early September of 2017. The report calls for “more robust industry guidance” to help chemical plants mitigate the effects of catastrophic weather events. The investigation confirms that, as the Houston Chronicle reported last fall, the company did very little planning for catastrophic flood events — an oversight by both employees and industry regulators. Federal safety rules require plants to compile safety information but do not specifically mandate that flood risks be weighed. That likely means that other, similarly situated chemical companies are similarly unaware of flood risks, the report found. In a multi-paragraph statement responding to the report, Arkema largely ignored the board's findings that it hadn't planned for flooding, instead praising investigators for noting that the company had certain other protections in place. The company also noted, as it often has in the past, that Harvey's floodwaters were "unprecedented." "Arkema is pleased that after an eight-month-long investigation, the Chemical Safety Board report accurately depicts the unforeseeable nature of the situation Arkema faced during Hurricane Harvey," the statement said. As floodwaters rose around the plant last August and overwhelmed the plant’s refrigerated containers, organic peroxides stored there began to heat and then degrade. The result was a series of chemical fires over the better part of a week, with plumes of smoke reaching hundreds of feet in the air. Neighbors and emergency personnel sent to the scene have complained of respiratory illnesses and headaches as a result of the releases. Chemical reporting guidelines did not require Arkema to report some of its toxic organic peroxides in public hazard planning documents, an omission that some argue kept key information from the public at a critical moment. 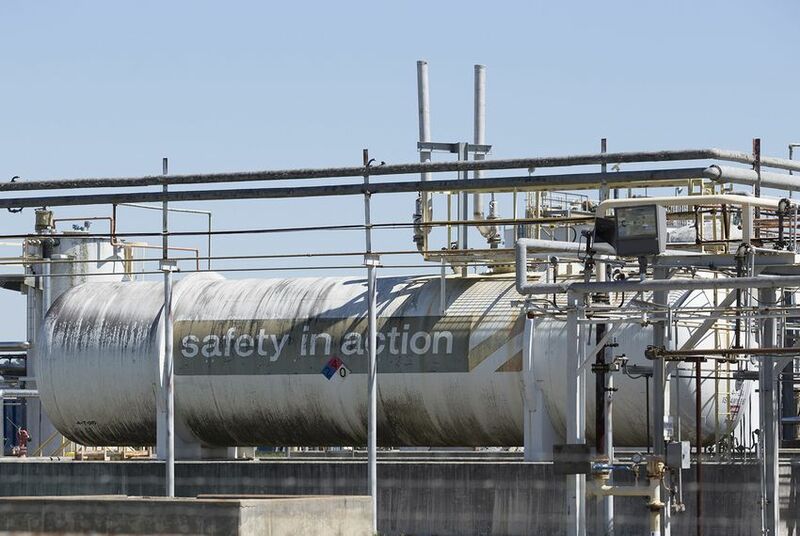 Both neighbors and first responders who were dispatched to the scene have argued that they were unaware of the risks at the plant, and Arkema is currently fighting a slate of lawsuits related to the incident. A first responder suing the plant told The Texas Tribune in March that he was entirely unprepared for the scene he confronted at the Arkema plant. He still suffers from symptoms of the exposure, he said. The EPA and TCEQ have also undertaken investigations of the chemical accident, but those reports have not yet been released.